So a bit of an update. I got injured playing football on Saturday afternoon. So instead of our usual brisk walk it was a very slow hop/limp along the river. 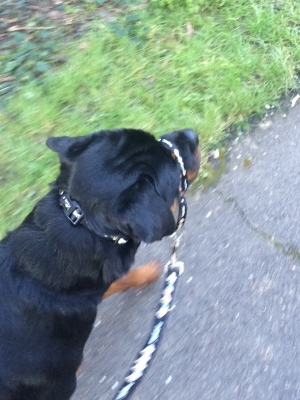 Using the dogmatic has allowed me to still take him out for a (very slow) walk, which before would of been difficult as he usually has one walking speed. 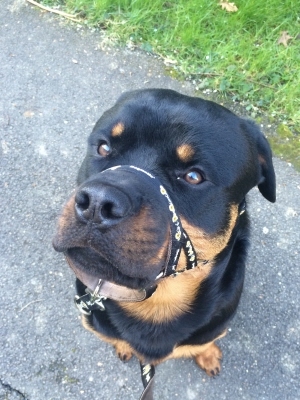 I received the Dogmatic head collar and Training lead yesterday, Thanks so much for your help and fast delivery. I must say I am very impressed with the quality of the product. Especially the lead! It is nice and easy to grip and comfortable to hold. The quality of the fixings have a good weight to them and feel like they will last. I tried out the head collar for the first time last night and after getting used to a new feeling Ralph You can see the difference already. 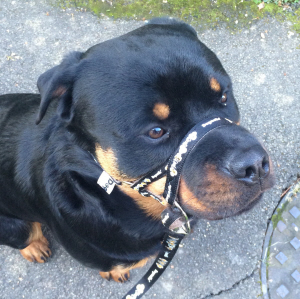 He was quite good on the lead anyway but easily distracted by other dogs, birds and squirrels. 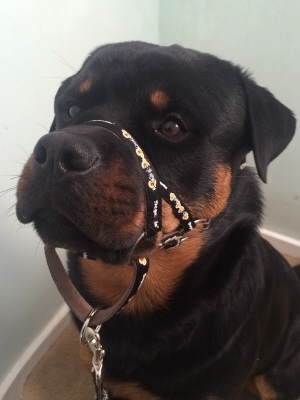 I will try and get some pictures for you with him showing off his new accessories! I can see why so many people have recommended this product which I will now be doing too!